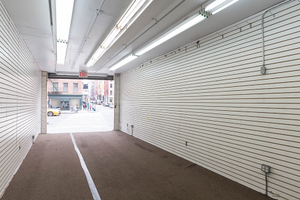 This street-level retail space is advantageously located in the lively area of SoHo close to Canal Street. 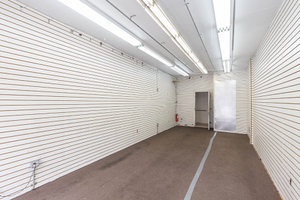 It is a great space for companies looking to express their creativity with a Pop-Up Store. 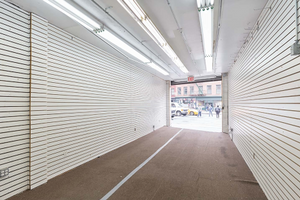 This adaptable space has a roll-down frontage that opens it up completely to the street, which brings in a lot of natural light. 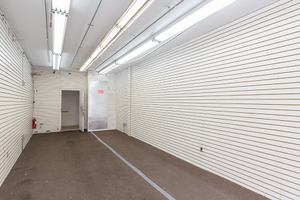 The interiors here are composed of white paneled walls, carpet flooring and open fluorescent lighting. With basic facilities including lighting, heating and a bathroom this space can accommodate a range of creative Pop-Ups. 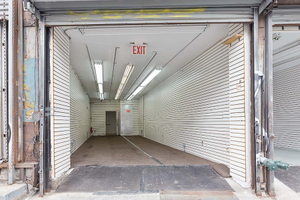 Favorably situated in the stylish area of SoHo close to Canal Street and Broadway, this space is in a prime location. It is an exceptional opportunity and perfect for brands and designers to launch a creative, attention-grabbing Pop-Up store.